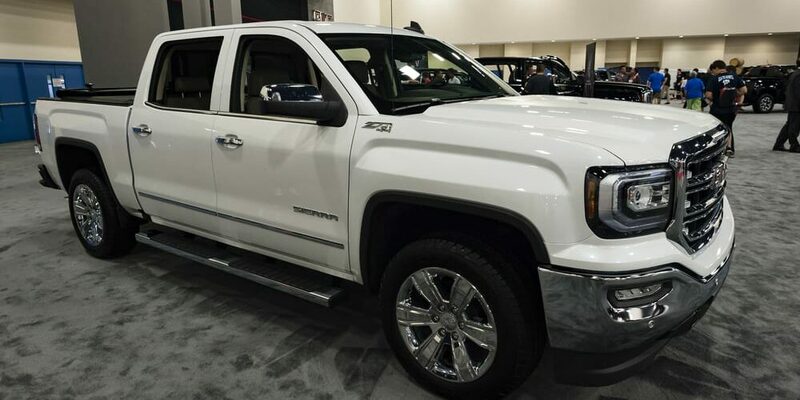 Best Shocks for GMC Sierra 1500 Reviews: Top 6 in April 2019! Best Shocks for GMC Sierra 1500: A List for Your Convenience! Hi, I’m Ken Coul, and this is my review of the best GMC Sierra shocks replacement parts. I have uploaded quite a number of reviews for different shock applications, and the recurring theme of queries is general confusion to what kind of shock is required. This confusion comes from an inexperienced enthusiast that want to upgrade, pump-up and pimp-up their rides, but at home in their garage. So, for all you DIY car enthusiast that has just spent a mortgage on tools rather than spend a tenth of the cost on a professional service, here is the lowdown on shocks. There are three types of the shock absorber, which I will go into more detail at the end of this guide. However, as a quick taster, shock absorbers are not suspensions systems, they are parts of the suspension and wheel control system that aid the driver in maintain control over the vehicle even on rough terrain. Essentially what a shock absorber does is it keeps the vehicle’s tires on the road surface at all times, even if the road is a marsh or a quarry. The obstacles and extreme ground conditions cause the tires to either lift off the ground or unbalance a vehicle. The shock absorber performs two functions, it adjusts the height of the wheel to maintain a firm grip over all terrain, keeping the vehicle as flush as possible with the ground, and it absorbs shocks which are muted from damaging the vehicles other components. When combined with a great suspension system, shock absorbers will improve the smoothness of the ride as well as give the driver complete and constant control over the vehicle. After all, a tire in the air cannot brake, accelerate or change direction. Well enough about the technical aspects of shocks, now look at the Best Shocks for GMC Sierra 1500 and here are the six leading models. 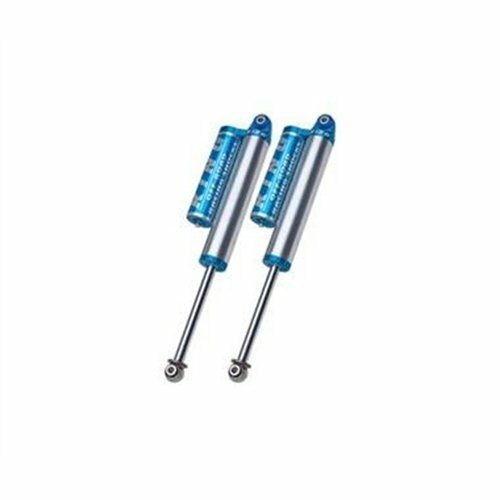 These are part of the B4 Series Replacement Shocks and Struts by Bilstein®. They are monotube-designed with a 2” seamless extruded tube and a chromed, and super-polished case-hardened 14mm rod. The 46mm piston is digressive and self-adjusting and includes a deflective-disc independent rebound with optimized compression. The Loaded quickLIFT™ Front Driver or Passenger Side Twin-Tube Complete Strut Assembly with 2.0″ Front Lift Height (RS999901) by Rancho® is a peak performance strut type shock absorber. This is a twin tube internal design with a pre-assembled coil spring and upper mount. This part removes the factory rake, and it clears up to 35” of tire height. What you get is a customer looking increased ground clearance effect. The piston rods compressed. Length is 13.81″ and is 18.06” when extended giving you a 4.25” stroke length. Overall body length is 13.31”. The reserve tube diameter is 2.13”. Add to this their adjustable 9-position tuning technology and cover it in a liquid metallic finish for that extra pimped and pumped up look. However this is not enough, Rancho is an extremist when it comes to performance engineering, and here are some more added features that go above and beyond what you would expect. This twin-tube body increases fluid capacity leading to a cooler operation. A heavy-duty Nitro-Carb rod that prevents scuffing resistance and promotes corrosion protection. 9-position tuning technology that provides 9 incremental steps of differing flexibility, starting with OE style and reaching firm towing levels. A Rebound Bumper that helps in controlling the rebound motion while traversing rough surfaces. Low-Friction, self-lubricating seal that prevents dirt and debris pollution. A Liquid metallic finish with a protective boot. 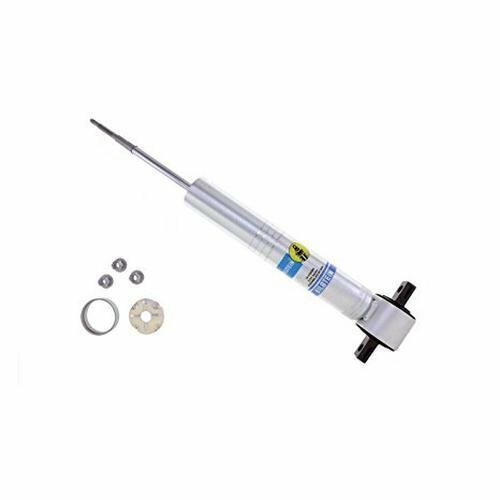 The B8 5100 Series Rear Driver or Passenger Side Monotube Smooth Body Shock Absorber for 2.0″-4.0″ Lifted Vehicles (24-186636) by Bilstein® is velocity sensitive and digressive piston design that absorbs even the most aggressive of surfaces. This is a monotube design that is finished with a no-nonsense workaholic zinc plate that lowers pricing and increases durability. The piston rods compressed. Length is 18.17″ and is 29.92” when extended giving you an impressive 11.17” stroke length. The lower and upper mounting eyes are 0.555” in diameter, and the boot is 1.81” in diameter. Bilstein is a leader in shocks, and any part they manufacture delivers what they claim. Their aftermarket parts are found all over the US and the world and are featured in many a racing enthusiasts list of must-have components. 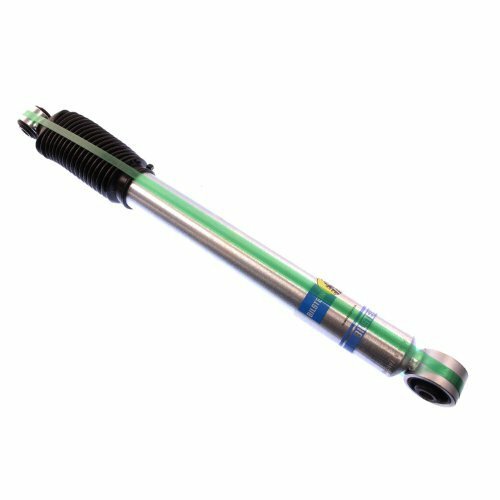 The KYB® Strut-Plus™ Front Driver or Passenger Side Twin-Tube Complete Strut Assembly #SR4079is an OEM replacement part that will restore all the original ride, handling, and control capabilities to your vehicle. This component comes with the twin-tube gas Excel-G Strut that matches OE quality. This is a straightforward fast installation full stock replacement item, and the kit comes with, and Excel-G Strut, Coil Spring, Bearing Plate, Boot Kit and Bumper with Spring Seat and Isolators included. What is truly remarkable about KYB is their simplicity. They do not try to overstate the obvious, this is an OEM replacement that might deliver a slightly higher performance than the original OEM shocks, but essentially are designed to deliver the identical performance so you do not need to relearn your driving environment. The Fox® 2.0 Performance Series Rear Driver or Passenger Side Smooth Body IFP Non-Adjustable Shock Absorber for 0″-1.0″ Lifted Vehicles #980-24-660 is an aftermarket off-road product. This is a rebuildable, serviceable race shock with some amazing features, including the clear anodized 2.0″ diameter metal-impacted 6061-T6 aluminum body that provides maximum protection from corrosion. The shaft is a 5/8″ hard chrome plated steel allot and comes wrapped with a redundant sealing pack system main seal, wiper seal and scraper seal with nitrile rubber suspension articulated bushings. This nitrogen pressure compression and rebound valve system has a stroke length of 9.0”, the compressed length is 15.65” ad the extended length is 24.75” with a 0.56” internal diameter lower and upper mounting sleeve. An internal IFP reservoir designed for total separation of the nitrogen gas from the oil. All internal components are made of black-anodized, CNC-machined 6061-T6 billet aluminum. The piston shaft is a 5/8” diameter chrome plated heat-treated alloy steel. A high-flow race designed piston machined for faster reaction and better rough surface performance. The King Shocks® OEM Performance Rear Driver and Passenger Side Non-Adjustable Shock Absorbers #25001-154 was designed to act as a preference replacement for OEM parts. This shock kit comes complete with heat-treated 6061 aluminum alloy pistons and integrates Rulon composite wear bands together with chrome steel micro-polished shafts, and rod ends with spherical bearings made of tough steel PTFE. This is a piggyback reservoir system, with precision-bored 2.5 in. steel shock cylinders deliver a tensile strength of no less than 100,000 pounds per square inch. The compressed piston length is 15.63” and the extended length is 24.56” with an overall stroke length of 8.93”. Lest look at shock absorbers from a technological viewpoint first. These vehicle components are used to convert movement from the rough surface conditions (movement = kinetic energy) into heat (heat = thermal energy). Then, they perform a heat exchange by dissipating the heat into the atmosphere using optimized materials and mechanical product design. The suspension is used to support the weight of your vehicle and assure a smooth ride, by connecting the axle to the frame through the leaf or spring suspensions. Shock absorbers are added to keep the tire surface flush with the road surface; they are not designed to support the weight of the vehicle. Having stated this, there are exceptions to this rule, so lets now look at the three types of suspension. Conventional telescopic shock absorbers; these are gas and oil filled pistons that have an extension capacity defined by the vehicle fitment. They are not for the suspension, only work as shock absorbers and as such will usually be found on most applications as an addition to the suspension system. Strut type shock absorbers: these are suspension-based piston shock absorbers that provide shock absorption properties while adding some aid to the suspension system. These are found on many rough off-road applications as they help to stabilize and smooth the overall ride for off-road journeys. 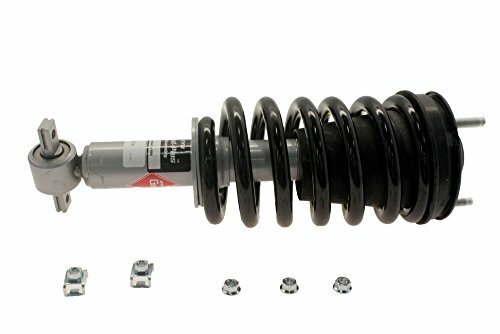 Spring seat shocks: these are the most expensive models, they are a combination of a strut-type with a heavy-duty spring and are designed to replace suspension systems. They are found on heavy-duty vehicles mainly and will provide excellent performance even over the roughest of surfaces. I reading all this info but how about some help? have a 2009 RAM 1500 I’m looking at replacing my shocks and my breaks can you tell me what I need to do to have the best smooth ride and best breaks!